This more of a tech note than dissertation. JVC, Hyundai, Sony, Panasonic, and the like – are all coming out with 3D monitors. And they’re all flat. And they’re all shiny and sleek. Other subjective features aside, many of the ones you’ve been eyeballing don’t quite cut the mustard when used in the edit bay. Here’s why. Frame Rate. Sure, if you’re in the 29.97 / 59.94 world, you’re most likely OK. But if you’re in the 23.98 realm – Be careful! Consumer and pro-sumer 3D monitors often have HDMI input. HDMI is traditionally a consumer and pro-sumer video transport mechanism, so it only stands to reason they would be found on the monitor. Some oddball frame rates – such as 23.98PsF – are not a consumer frame rate. In fact, the HDMI 1.3 spec doesn’t even allow for it. Thus, if you are working in Avid or Final Cut Pro (for example) – and you’re trying to achieve that film look with 3D – that deal you got on your cheap(er) 3D monitor may have served to bite you later. I’ve recent run into this situation with the JVC 463D10U.Word to the wise: check the spec of the monitor you are buying to ensure it handles any of the frame rates and resolutions you could possibly use. Solutions / Triage: Cross or down-convert on the output. Avid, for example, can cross convert 1080p 23.98 to 1080i 59.94 or 720p. These are more standard resolutions which a larger variety of monitors can handle. Outboard devices can also handle this, such as the AJA HI5 3G. This unit takes your HD-SDI output (Mojo DX, Nitris DX, Kona3) and does the conversion from 23.98PsF to 23.98p AND converts to HDMI. $690.00 solution. Type of 3D playback: Passive / Active. I’m not about to launch into the pros and cons of each format but I will tell you what is downwind: Glasses Price. Passive glasses are cheap (in some cases, less than $10, I’ve seen decent paper framed ones – for $1 a piece) Active glasses are over $100 each. So, be aware of the added cost if going active and you have a large viewing audience. Solutions / Triage: Glasses are probably the least of your concerns – as Active vs Passive is a very old argument – with no clear-cut winner. Decide on what format looks best to you (and the people paying your rate) and find a monitor that handles that. Flavor of 3D compression. Avid, for example, uses a product called Metafuze to marry left eye and right eye into 1 HD frame size – to constrain to the limits of the Avid software. This yields 2 full frames squashed into 1 full frame, yielding a side by side, over/under, or interlaced image. Aside from losing half the resolution from the get go, this also presents the dilemma “which format should I choose?” Your 3D monitor will tell you. Some monitors only understand, for example, side by side. Thus, if you’ve used Metafuze and encoded into over/under, you now have media that your monitor cannot display properly. That was a waste of time, eh?Word to the wise: Always verify what you shoot – how you edit – how you view – and how you output – are all the same, or, at least can play together nicely. Solutions / Triage: Cine-Tal’s Davio, is a hardware based solution utilizing software libraries. One of the libraries handles 3D and can convert inbound baseband 3D video signals into other flavors: side by side can become over/under, for example. You can also split single link to dual link for legacy 3D projection gear. Expect to spend $2500 for the box, and $2500 for the 3D library. DoReMi also has the Dimension-3D box, which reportedly has similar abilities. 2D vs. 3D Media. Some 3D monitors easily display a separate 2D image, or a separate 3D image. Taking a 3D image and “muting” one of the eyes – therein lies the challenge. Many monitors cannot eliminate the “combined” 3D image in order to view strictly one eye – 2D. Having this ability is useful in the edit bay, when A) wearing the glasses gives you a headache while you edit B) glasses cut down on light getting to your eye, yielding a darker than usual edit bay and C) you look like damn fool.Solutions / Triage: Currently, to accomplish this in Avid you would need to keep 2 versions of media – 2D and 3D – and relink to each set of media when wanting to view the appropriate output, or buy extra hardware (see Cine-tal’s Davio, above). Avid’s hardware cannot alter the output of the 3D signal in terms of swapping single frame arrangement or muting eyes (those setting you see in Avid, those are for the Composer Window – Sorry!). I understand Hyundai’s latest 3D monitor has the ability to mute an eye during 3D playback. 3D Editing Support. 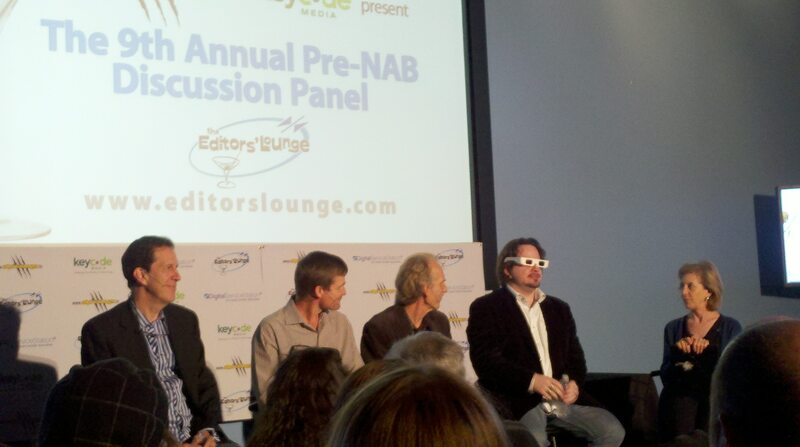 As of this writing (early July, 2010), ONLY Avid has a complete end to end 3D editiorial and finishing solution. While there are other solutions that can trick editorial softs into pseudo 3d editing, or to simply finish 3D after editorial Avid is the only complete end to end solution.Solutions / Triage: How much time do you want to waste attempting to Rube Goldberg a 3D workflow, only to have the kluge be unsupported when it blows up? If you’re doing a complete project – editing and finishing – stick with the most solid solution. If you could help with my 3D problem it be greatly appreciated. what i want to do is have live viewing on set! I think my problem is my Monitor is trying to make its own 3D from 2D giving me 3 images. 1 Pulled out one camera feed and i got a nice 3D picture from one camera hence what I said above. 2 Now the normal way to fix this is to change the type of 3D that monitor wants to display. this JVC only gives my side by side1 side by side 2, and line by line. My AJA Hi5-3D gives me side by side, top and bottom, file packing and anaglyph. when the monitor is in side by side 1 or 2 (seems to only change aspect ratio) the only outputs i can get are actual side by side Not 3D and this messy picture with what looks like 3 images. when I have the monitor in line by line things change a little. side by side is actual side by side, same with top and bottom. file packing does not work and anaglyph works but at a low resolution. so I can at lest aline my cameras. But even when I have aline cameras i still get 2 images! and the wired thing is if i move the Left camera both the frame lines from L and R move with it.!!!!!!! I can not understand this at all !!! Now I can shoot 3D but I cant view it which means I can’t shoot it really. Am I doing something wrong in my working.??? ?I have been told that this the same set up at the pirates of the caribbean. so i know the JVC monitor is good and the AJA Hi5-3D they say is the best on the market for what it does. and it works with Alexas. I feel its right infront of my face. I just can’t see it… I have been at this for 10 hours so I need help now!! Sounds like the HI5-3D may be squirrely when handling 3D images. This isn’t uncommmon, I’ve experienced this as well. I’d give AJA support a call and have your rig setup so you can troubleshoot over the phone. The AJA Hi5-3D, as much as I hate to say it, is NOT the best on the market, it’s the cheapest. The Cinetal Davio and almost anything by 3ality far exceeds the Hi5-3D, but are many, many times more expensive. Hey mate thanks heap for your time!! I am trying a new 3D brain tomorrow!! Is there an optimum viewing angle shift when moving from side to side to line by line? I had installation using a Panasonic BT-3DL2550 where the viewing angle was set perpendicular to the screen and it was fine, but the users content was line by line and the viewing angle is now 22 degrees off center!